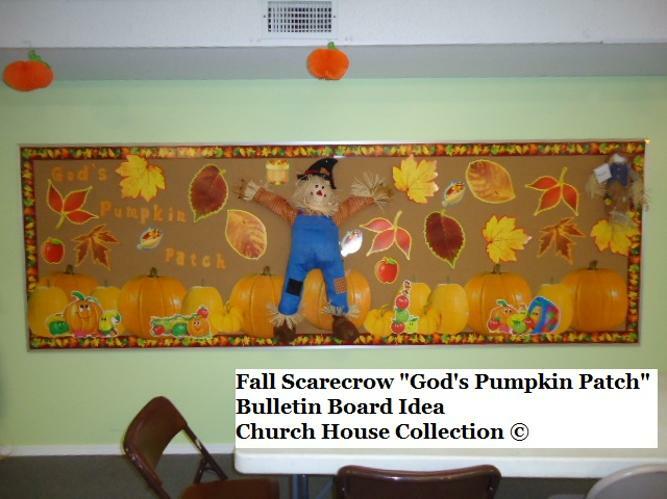 Fall Scarecrow "God's Pumpkin Patch"
I did not cover the bulletin board in any paper. I just left it brown because it blended well for the fall look. 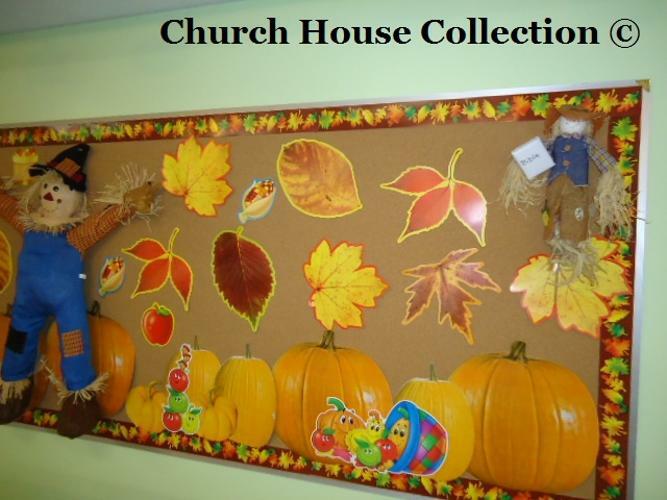 I covered the bulletin board in some fall leaves border. I just stapled that all around the board. Then I added some very large pumpkins at the bottom of the board and stapled those on. I stapled large leaves all over the board. Then I stapled the fruit and squash set at bottom and scatted the apples, and corn all around the board too. 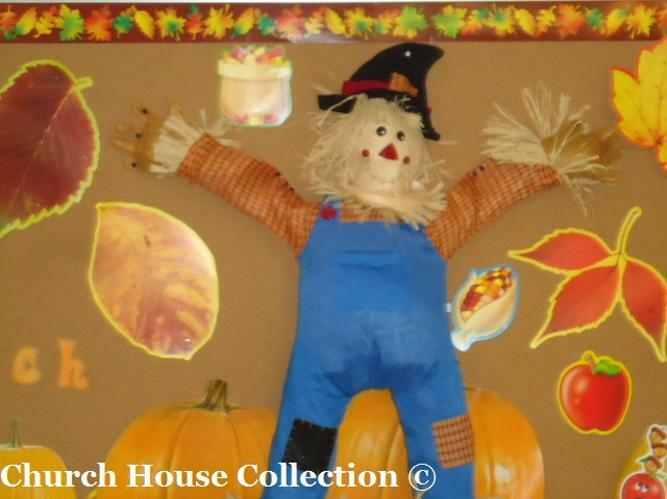 I also bought a large scarecrow that you have to stuff yourself and stapled that to the center of the board. I added a small scarecrow in the upper right hand corner. 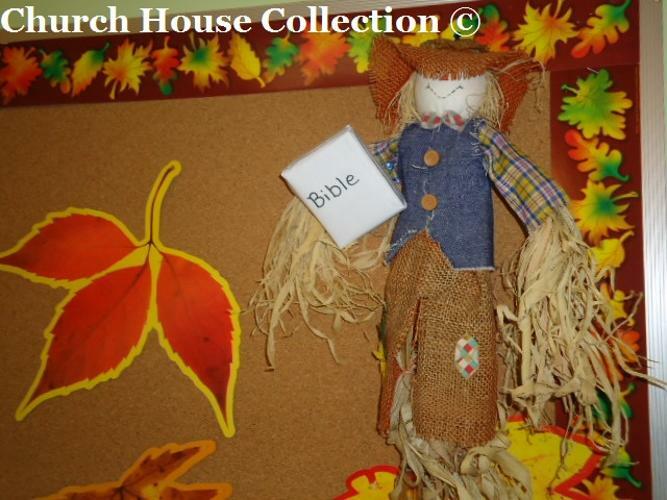 I bought that from Walmart and then I added a small bible in it's hand. I made that by using an empty jello box. I just covered a small jello box with white paper and wrote the word "Bible" on the front. 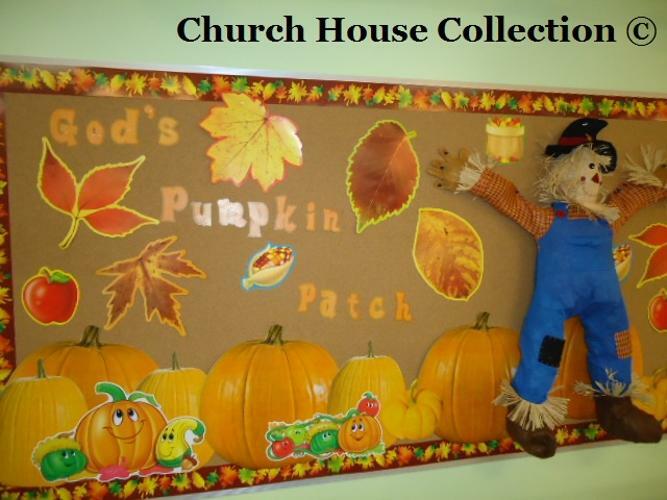 I also hung Pumpkin tissue decorations all along the top above the bulletin board close to the ceiling. Most stuff was bought through Oriental Trading.